In some cases your website might need less traffic. Or, more real visitors actually interested in your products and services. Don’t have time to read everything? Click here to jump to the tips. Definition: Website traffic refers to web users who visit a website. Web traffic is measured in visits, sometimes called “sessions,” and is a common way to measure an online business effectiveness at attracting an audience. I remember in the early days of the Internet one of the most prominent things on a website was the visitor counter. Back then users didn’t have any accessible indicator of the popularity of a page, “SEO” didn’t exist. Social networks didn’t exist. Users did not have a clear way to determine the popularity of a web. When websites took off in the early 1990s, the website traffic was what everybody monitored, and for good reason. It was the basic method for determining the popularity of a web page. 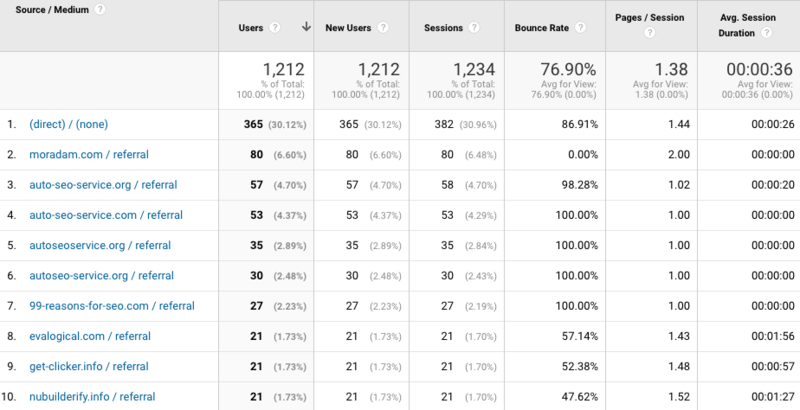 With the advent of Google Analytics, everything got a little savvier for the general public. Now metrics like conversion rate, session time, page views, previously only available to deep pocketed businesses, was available to all and for free. Traffic to your website can come from different directions. Below are jsut a few ways people can end up on your site. Below we discuss a few types of typical website traffic thats useless. Fake traffic is traffic generated by click fraud, spam bots or software, not by real people. This traffic will never result in a sale. So from a business standpoint its useless. But don’t worry, even Google struggles with fake traffic problems. Click farms are usually located in developing countries, such as China, India, Nepal, Sri Lanka, Egypt, Indonesia, the Philippines, and Bangladesh. Everybody knows the saying in Internet Marketing, “Content is King.” And if you want to generate a constant source of traffic to your website, you need to concentrate on creating great content. But what if that content wasn’t benefitting your business? Don’t let your website be a target for fake traffic, or generating traffic for keywords and topics that won’t benefit your business. The example below is what can happen to normal website with irrelevant / malicious organic search traffic. The business illustrated below was for an assisted living facility that launched a new landing page with interactive videos on their facility. Since their website content highlights adult and senior topics, Google made the association that their video page qualified to be shown for “Adult Videos”. Thus sending a huge spike in traffic. But for search terms they clearly don’t want to rank for. How long did the user stay? Traffic for traffics sake is pointless if it doesn’t turn into a customer. 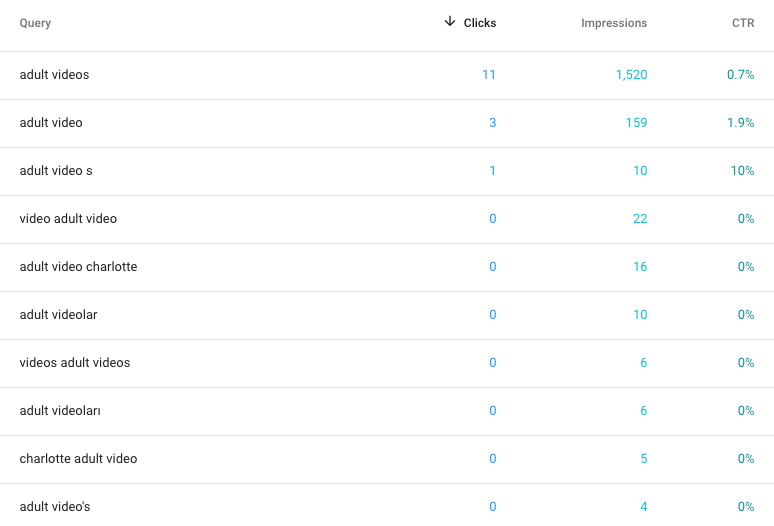 Things like bounce rate and time on site let us build out a visitor profile. What is the conversion rate? This doesn’t have to be a purchase but it can, in addition to contact form fills, time on site goals or designated page goals. How much does this traffic cost? Depending on your marketing efforts, you are probably paying somebody or something. It could be Google AdWords, content writers or in-house SEO teams. Regardless this is a real cost and should be attributed to your traffic. Where is the user from? Analytics provides a number of geographical dimensions, such as City, Country, Continent, etc. The values for these dimensions are automatically derived from the IP address of the hit, which is convenient but also has a few drawbacks. Setup Google Analytics filters. While there are many features that make Google Analytics tick, here’s something to keep in mind: the data being generated may not be as accurate as possible. Fortunately, you can use filters to prevent this from causing problems in the future. 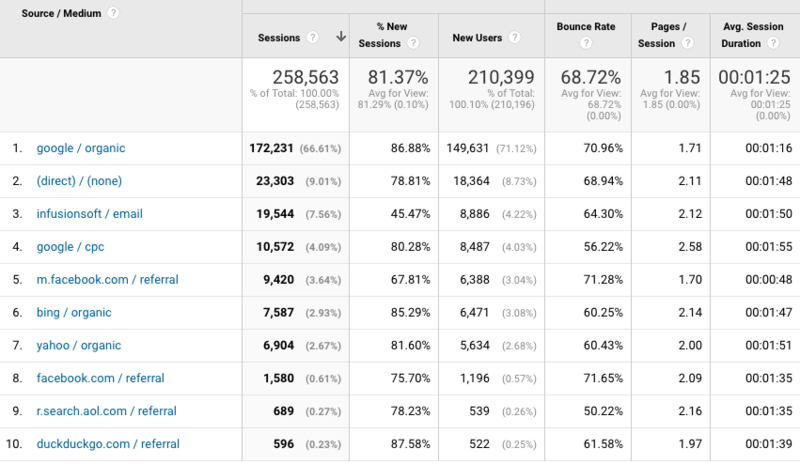 Website traffic should not be the primary key performance indicator. But it is a very real number to track, measure and track ROI. It’s also a great tool for determining your site’s popularity and readability. But at the end of the day it’s not about traffic but conversions and generating income for your business. At SEO Mechainc we explain to clients its about better traffic and not just more traffic. Below is a quick scenario. Website A: Ranks highly in niche Google search results, Effective call to actions and on-site copy, that convert a high percentage of visitors into conversions, but they only bring in minimal traffic. Website B: Ranks for non-specific Google search results, puts out well-received content, and brings in paid advertising. They do outstanding with web traffic, yet convert a minimal number of visitors. This illustration shows why vanity marketing metrics, like website traffic, should not be the primary KPI for determining success, especially with SEO. We designed SEO campaigns should eliminate irrelevant traffic from your web site analytics. By focusing on specific keywords and crafting content for your audience will deliver real tangible results. Not just big numbers. The best way to improve your website traffic is to improve your content. Let’s face it, nobody want’s to read or share irrelevant information on the internet (except spam bots). 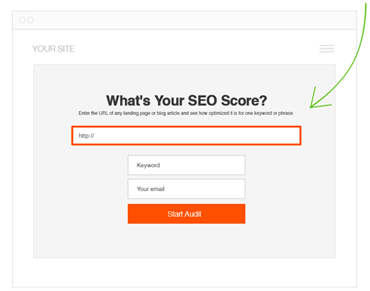 Below are a few simple tweaks to help you increase and refine you inbound traffic. 1. Improve your on-site content: Start by cleaning up your on-site copy and grammar mistakes. During the review look for opportunities to expand on the current content. Later you can go back and re-write it, delete it or 301 redirect it. 2. Better keyword research: Take time to make a list of what products and services drive the most money in your business. Then put together a list of blog topics that would appeal to people looking for your products and services in search engines. The above mentioned tips are hardly totally inclusive of everything you can do. But they are foundational changes you can make to start the process of improving the traffic to your website. Like most, you probably visit your website from time to time. In some cases, you may do this several times per day. While there’s nothing wrong with this, it can have an impact on your data, as you don’t want your own visits to be tracked. Here’s what you need to do: setup a filter that blocks traffic from your home or office (maybe both) IP address. This is a step-by-step process that only takes a couple minutes, at the most, to complete. In today’s day and age, it’s more common than ever for “web designers” to steal another website’s code. If this happens, they may not even be smart enough to remove your Google Analytics code. In this event, your account could begin to receive data from another website. As you can imagine, this will greatly skew the results. Once again, there’s a way to prevent this from remaining a concern. This time around, you want to setup a filter that only displays traffic from your particular domain. It will only take a few minutes to setup this filter. Once the process is complete, you can be rest assured that your Google Analytics account will only display data for your domain. We can all agree that website traffic is of absolute importance when it comes to making money online. Without this, your business entity will just sit on the web, doing nothing, and not serving its purpose. But make sure you know what types of traffic is visiting your website. And do your best to make sure you are only tracking real website visitors.